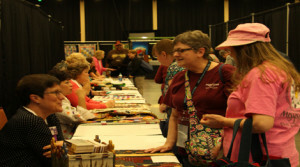 The 23rd Annual Mountain Quiltfest in Pigeon Forge is coming up faster than you can sew that next square! This year’s iteration will take place March 21 – 25, 2017, in the LeConte Center in downtown Pigeon Forge. The event is one of the premier celebrations of quilting in one of the most unique destinations in the country, so make your plans now and begin planning your ultimate quilting itinerary. The practice of quilting in America stretches to the beginning of the republic itself, as wealthy colonialists who had the time and resources took up the activity in droves. As the years passed, quilting filtered down throughout the classes to become one of the most popular crafts in the fledgling nation. Quilting is a part of the DNA of the American story, and that’s what ultimately led to the formation of A Mountain Quiltfest in the 1990s. The tradition has its roots in a joint quilt show that was hosted by two local quilting guilds, the Piecemakers and the Sevier Valley Guild. The show proved so popular that by 1995, the city of Pigeon Forge asked the guilds to organize an official event for the city. Thus, A Mountain Quiltfest was born, and it has grown by leaps and bounds in the decades since, moving to increasingly larger venues as needed. One of the signature features of the annual A Mountain Quiltfest is the incredible range of classes that are available to all attendees. Whether you are a quilting novice who is interested in learning more about the craft, or a seasoned quilter looking to hone a specific skill, you’ll find a wide selection of informative classes taught by knowledgeable instructors. All-in-all, the event features more than 70 great classes for you to choose from. You can browse the schedule for the entire event, and even register online so that you can set your agenda ahead of time. In between classes and other events, you’ll definitely want to block out time to browse the quilts on display at the signature quilt show. Thanks to the expansive space offered by the LeConte Center, the organizers of A Mountain Quiltfest have the ability to include more outstanding quilts than ever, giving you a chance to see amazing work from across the country. There are also multiple different award categories which submitted quilts will be judged on, and prizes will awarded to the top selections in each category. After you’ve had the opportunity to learn from the quilting masters and browse many of the award-winning entries in the quilt show, there’s still so much more to experience at A Mountain Quiltfest. 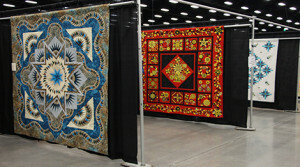 Numerous vendors will be attending and selling distinctive quilting accessories throughout the event. And if you have any quilts that you’d like to get appraised, you’ll definitely want to make an appointment with Candace St. Lawrence, an AQS-certified quilt appraiser who will be performing appraisals several times during the week. There will also be a variety of demonstrations and presentations available for you to attend. 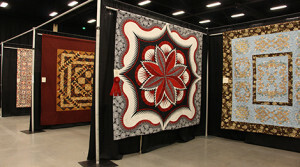 For more information see the A Mountain Quiltfest website. Of course, if you need a quick break from the quilting excitement, there’s always time to get out and explore the exciting town of Pigeon Forge, and the beautiful grandeur of the Smoky Mountains.